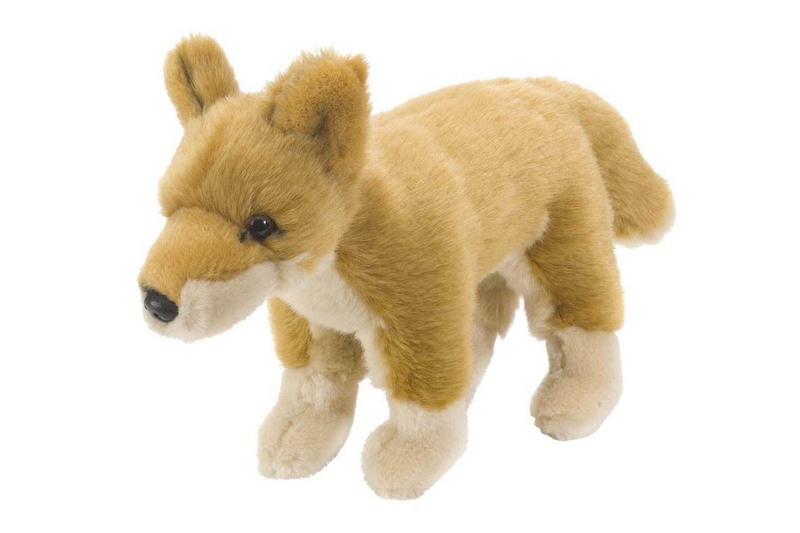 This small plush dingo is highly detailed, uses the finest of fabrics and is perfect for cuddling! The Australian Dingo is not thought to be a true native species but as to how long it’s been here and how it got here is still being disputed. They are found throughout the mainland Australia. The Dingo is a medium sized dog, with a bushy tail and can be found in a variety of colours from reddish yellow to black and even a whitish colouration. Dingoes do not bark, but do howl. It has been treated as a pest and often persecuted and could be heading down the path to extinction, but recently it is becoming more thought of as an intelligent, inquisitive and integral part of the Australian environment – it is now starting to be seen to be a valued partner in the fight against the feral cat which is devastating to our native wildlife. The Aboriginal people valued them as guard dogs in their camps and hunting companions.